Mission: The Partnership for Healthy Youth coordinates efforts in Larimer County to increase the health and wellness of youth in the community. Formed: January 2013, in response to community need for youth risk behavior data and our common work in youth health and wellness. Goal 1: Strengthen communication and relationships among stakeholders that impact the health and wellness of children and youth. Goal 2: Collect, share, and use data to promote child health. Goal 3: Advocate for policies and practices that improve the health and wellness of children and youth. Engaging the community to promote youth and family wellness. The Southern Larimer Prevention Partnership was convened by Team Wellness & Prevention in March 2016. With funding from the Office of Behavioral Health at the Colorado Department of Human Services, the Partnership began the process of working with Loveland/Berthoud community members and organizations of all sectors (business, education, government, nonprofit, healthcare, etc.) in an effort to promote youth and family wellness. The Southern Larimer Prevention Partnership will evaluate risk factors associated with adolescent problem behaviors (i.e., substance abuse, delinquency, violence, suicide, truancy) and protective factors within the community that help mitigate such problem behaviors (i.e., opportunities for prosocial involvement, bonding within the family, attachment to school, etc.) with the goal to propose and implement policies/practices that the Loveland/Berthoud community can adopt to promote youth and family wellness. Participating agencies share the coalition’s mission; attend monthly coalition meetings; contribute to specialized work groups according to expertise, time, and resources; and are committed to a collective effort to engage in a community needs assessment, participate in a strategic plan, and support the implementation of identified, evidence-based policies/programs/practices. 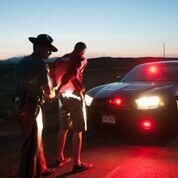 The mission of this project is decrease the incidents of drunk and impaired driving across all of Larimer County. The vision of this project is to reduce DUI/DWAI offenses in Larimer County for the betterment of our constituents through the identification and mitigation of local risk factors within the target population. The project is funded through the Persistent Drunk Driving and Law Enforcement Assistance Fund grant managed by the Office of Behavioral Health. All funds must be used to support primary prevention efforts to address DUI/DWAI and/or the local conditions that facilitate this behavior at all levels of the community, especially among young drivers. ● Identify and prioritize risk factors related to impaired driving within Larimer County. ● Create a comprehensive and collaborative community strategy to change local conditions related to the identified risk factors. ● Mitigate the effects of local conditions related to the identified risk factors within target populations. In 2017, TEAM Wellness & Prevention was awarded the Persistent Drunk Driving-Law Enforcement Assistance Funds grant from the Colorado Office of Behavioral Health. The grant funds a 5 year project aimed at reducing the incidents drunk and impaired driving in Larimer County. In compliance and coordination of this grant, TEAM begun assembling a highly qualified and influential coalition of stakeholders to inform this process. TEAM continues expand the coalition to include all of the needed stakeholders necessary to have a full and thorough, county wide impact on drunk and impaired driving. The coalition is in the early stages of the Strategic Prevention Framework and has been working to concurrently conduct a community needs assessment and build coalition capacity to plan and drive strategies to successfully achieve our project goals. The coalition has formed a steering committee and data work group to support these early stages of the Strategic Prevention Framework. The Steering Committee of this coalition is assembled to advise and direct the work of the entire coalition.It guides the priorities and administration of the coalition and the various work groups formed to carry out the outcomes prescribed by the grant funded project. This community needs assessment is designed to determine local risk factors and high-risk populations for DUI/DWAI within Larimer County in order to then strategically plan the most effective interventions to address these issues. This community needs assessment is designed to determine local risk factors and high-risk populations for DUI/DWAI within Larimer County in order to then strategically plan the most effective interventions to address these issues. The needs assessment took place from March to September 2018 and includes data from across Larimer County and the state of Colorado. Data collection about the state of our community through the lens of DUI/DWAI offense will continue throughout the strategic planning, implementation, and evaluation portions of this multi-year project as a part of the monitoring and evaluation plan for the project.